4 World Trade Center or 4WTC also known as 150 Greenwich Street is the fourth-tallest skyscraper on the World Trade Center site. 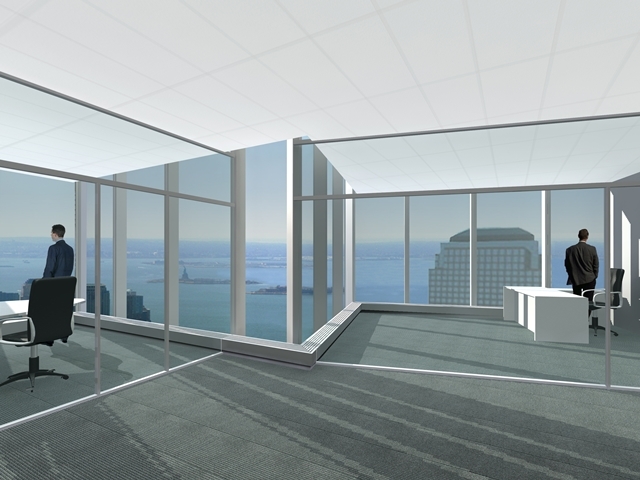 Designed by Maki and Associates, the 72-story tower is intended to assume a quiet but dignified presence at the site while also serving to enliven the immediate urban environment as part of the redevelopment efforts of downtown New York. 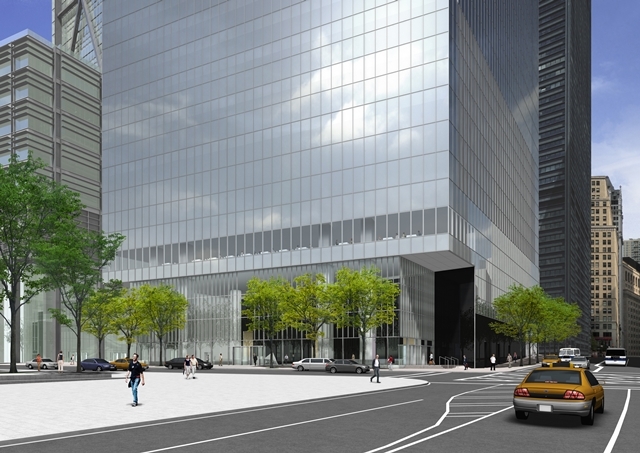 4WTC is located on the south-eastern corner of WTC site. Its construction is near the end as you read this. 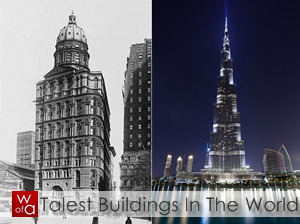 It has topped out on June 25th, 2012 at 298m (977ft) with 72 floors. 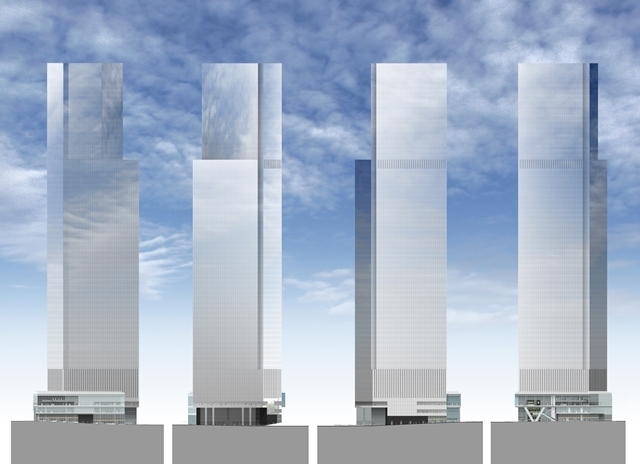 It's the first and shortest of four towers under construction right now. 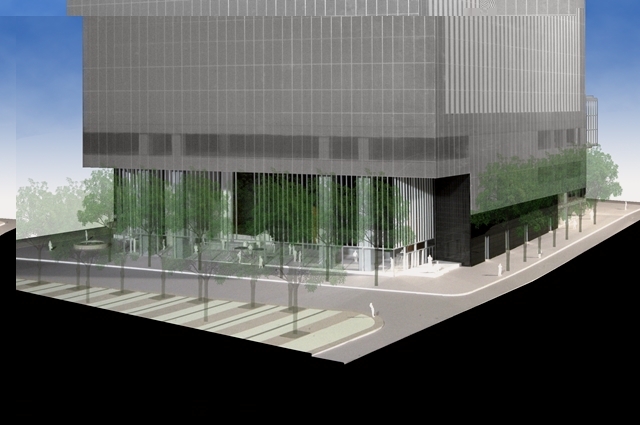 Completion date is set for 2013. 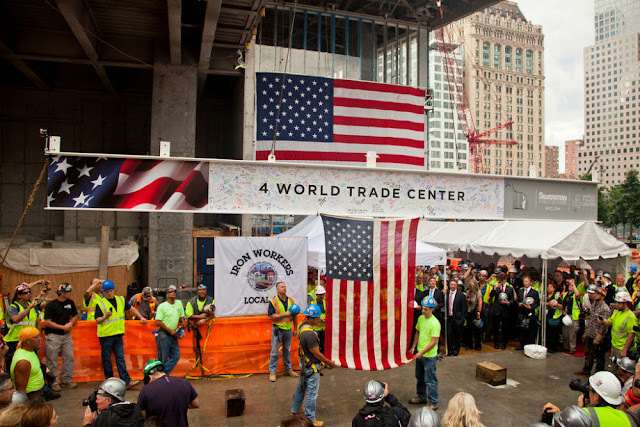 "The podium of 4 WTC consists of two retail levels below grade, ground floor, and three levels above grade. 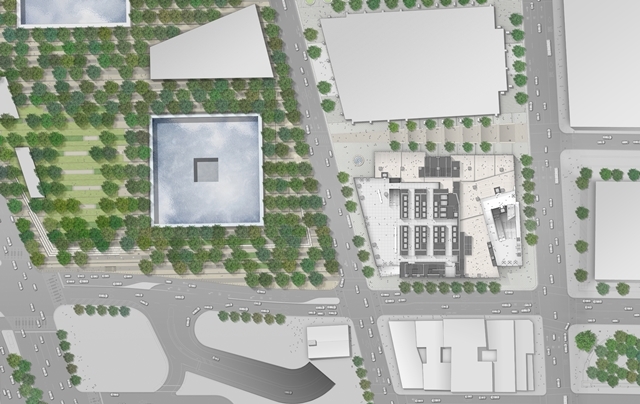 The remaining floors are set aside for commercial offices, totaling 2.3 million rentable square feet. 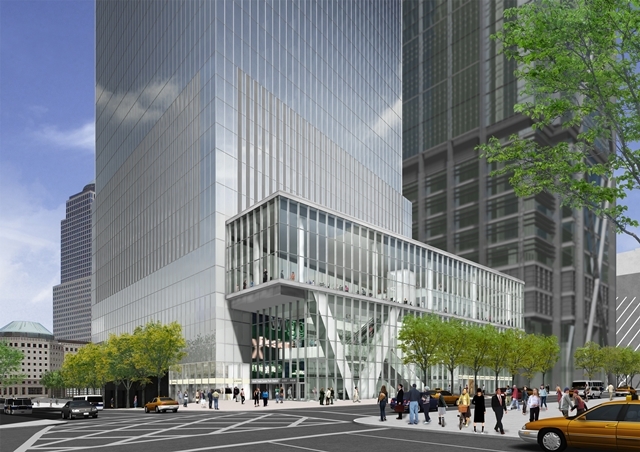 One third of the office space is slated to become the new headquarters of the Port Authority of New York and New Jersey. 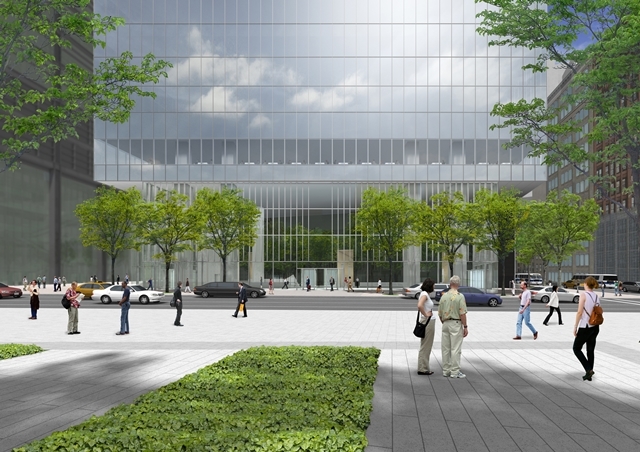 The tower portion of the building will accommodate office spaces in two distinctly shaped floor plates. 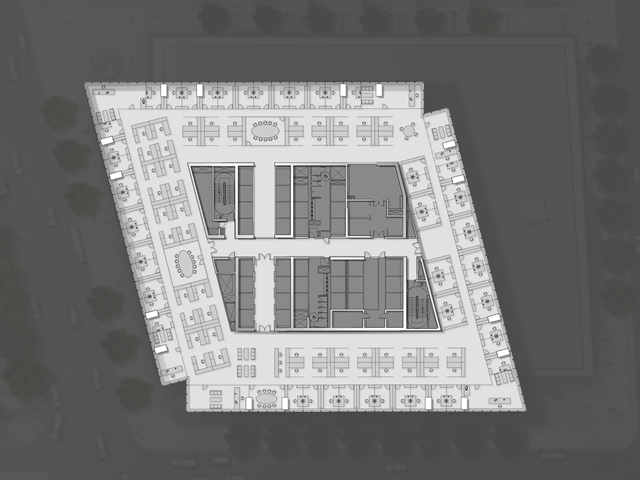 The lower- and mid-rise sections, floors 7 through 46, will feature a typical floor plate size of 44,000 rentable square feet in the shape of a parallelogram echoing the configuration of the site. 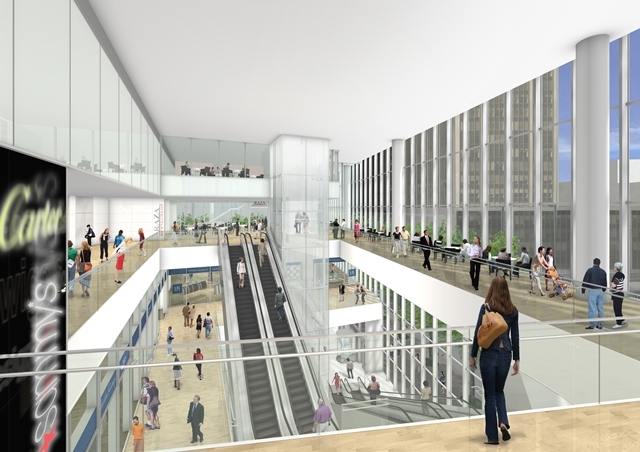 These floors will be served by two elevator banks, each equipped with eight cars and one elevator bank with six cars. 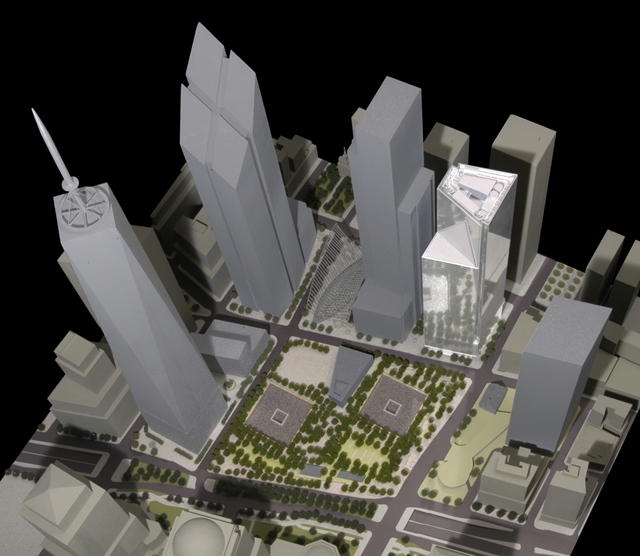 The high-rise section of the tower, from floors 48 to 63, will feature a trapezoidal floor plate measuring 34,000 rentable square feet. 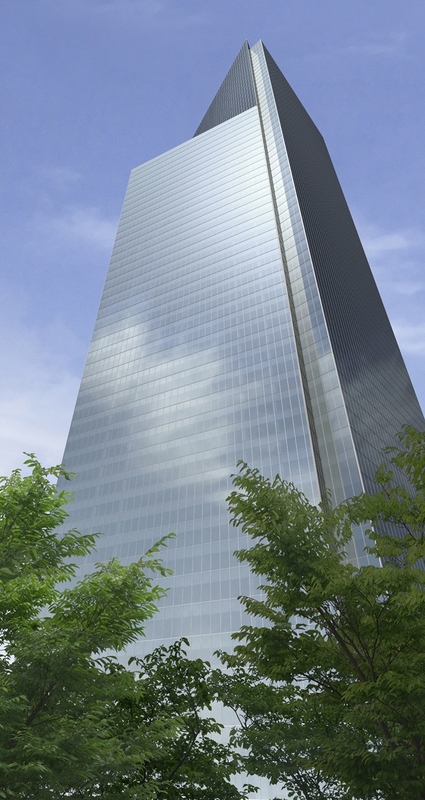 The trapezoid will be shaped and fluted to open toward the tip of Manhattan and triangulated from the lower floors to face 1 World Trade Center. 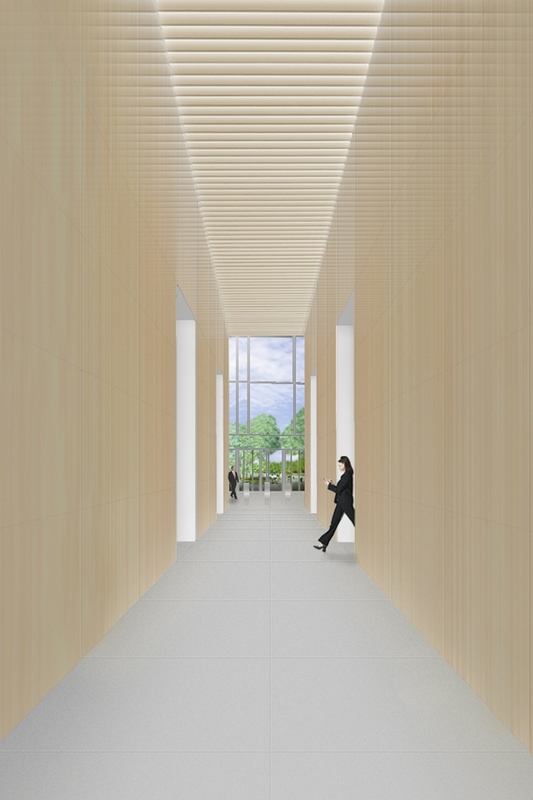 These floors will be served by two elevator banks, each with six cars. 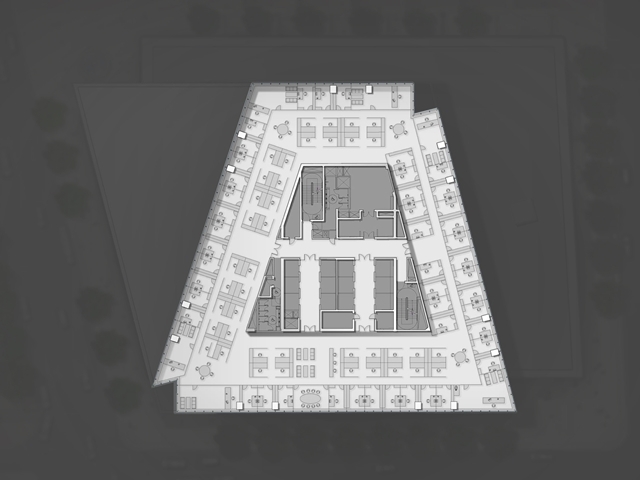 Both office floor plans contain a central core with a 45-foot span on the west side facing the memorial, as well as on the north and south. 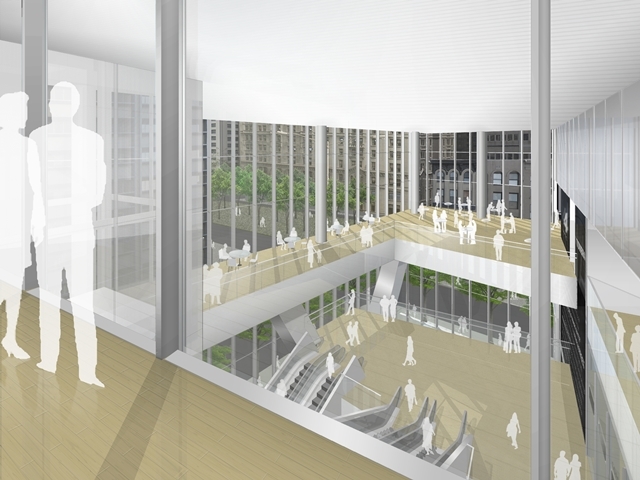 The east side has a 35-foot lease span. 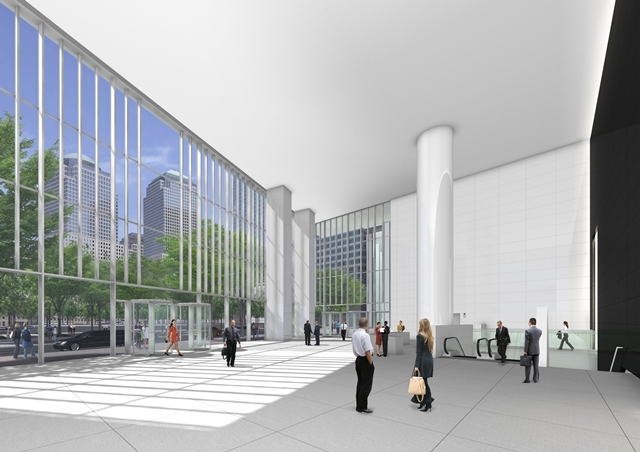 The project will also provide access to Wall Street and the central PATH terminal. 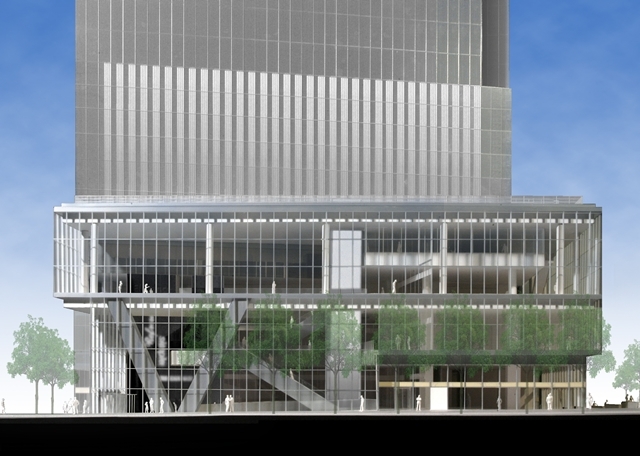 The building will feature many structural enhancements, including a reinforced concrete core and columns with steel girders and beams. 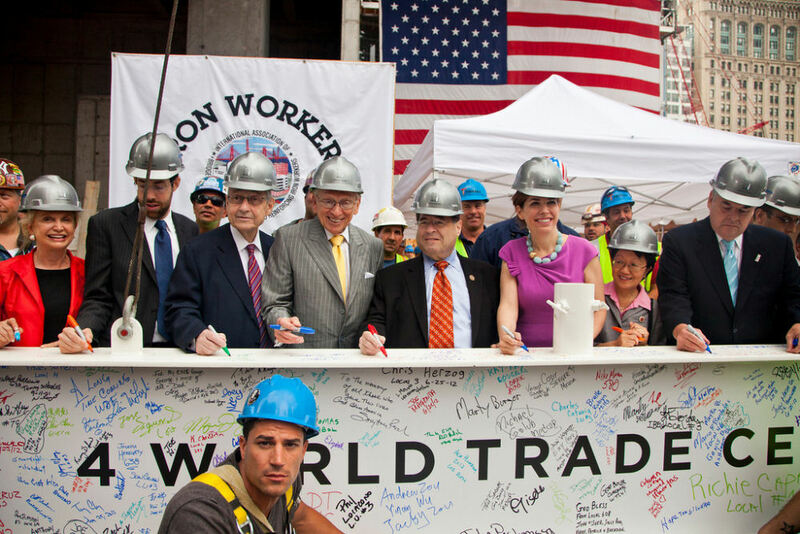 Safety systems will be designed to exceed New York City building code and Port Authority of New York and New Jersey requirements. 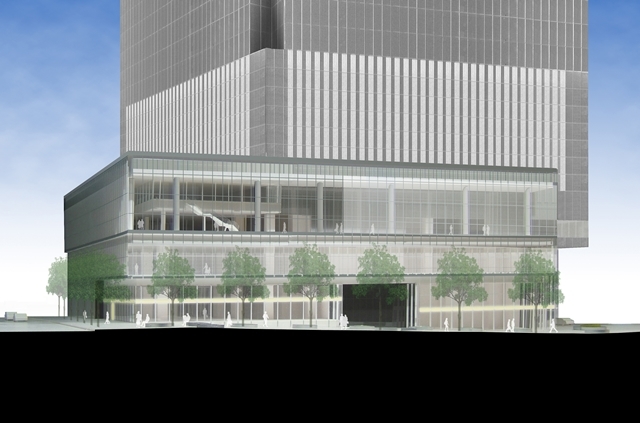 Designed in accordance with the highest energy efficiency standards, 150 Greenwich Street will seek to achieve the Gold standard under the Leadership in Energy and Environmental Design (LEED) by the U.S. Green Building Council."